No more phone tag or disorganized email threads when it comes to communicating with clients about new work. That’s Mark, a product owner on Jobber’s product team (the team of developers, engineers, and designers that builds our our software), explaining the benefit of work requests. Mark described the traditional way of clients getting in touch with your business about new work: a phone message here, an email there, a website form that led to yet another email to keep track of in your inbox. With Jobber, clients can find a work request form on your client hub, on your website, and on your social media channels. 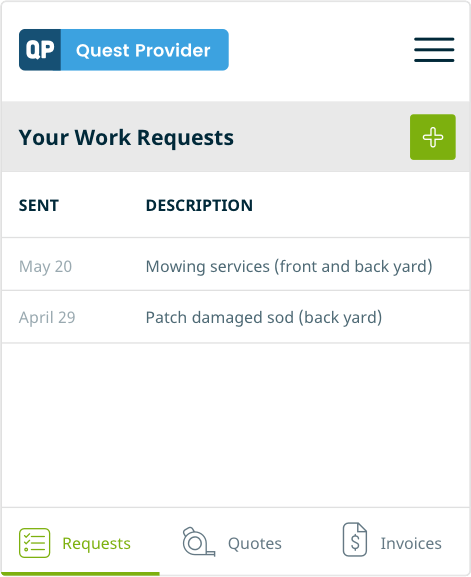 They type in their request, press submit, and you can review all of your requests in Jobber, and quickly convert them to quotes or jobs. Easy. Work requests are easier for your existing clients, your new clients, and you. Let’s break it down. Your existing clients have access to your client hub via a secure personalized link (no usernames or passwords!) included with each of the invoices and quotes you email them. Your client hub gives them access to their current and past quotes, invoices, and receipts, allows them to pay for invoices, and gives them the ability to submit work requests (learn more about how client hub works). Clients with multiple properties or recurring work no longer have to call you and leave a message that results in you finding the time to call them back. They can simply submit a request with all the necessary details and you can fulfill it asap and get to work faster. When you adopt new workflows and technologies that make things easier, your clients also get the reassurance that they’re working with a business that values their time. 84% of local consumers trust web reviews as much as personal recommendations. What does this have to do with work requests? Potential clients are searching online for local service companies more than ever. If they click through to your Facebook page and read a bunch of top notch reviews, then why not enable the handy ‘Book Now’ button with a link to work requests so they can get in touch immediately? Jake the Plumber shows how it’s done. 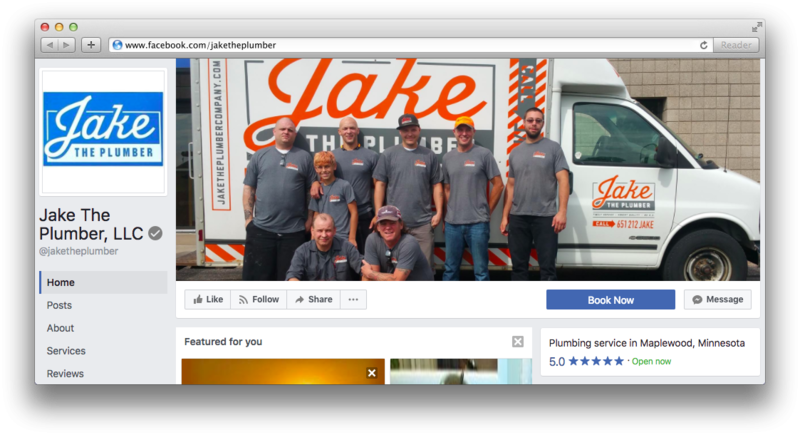 Jake the Plumber, a Jobber customer, has linked his Book Now button directly to his work requests feature. If your competition isn’t set up with work requests, and they require a potential client to visit their website for a phone number or send an email, then you’ve made getting in touch with your business loads easier. You can link to your work request feature from your website and all of your social media channels so that potential clients can put you to work faster. How do Jobber’s work requests make running a business easier for you? It all comes down to improved team communication and business efficiencies. When clients request work, all requests live in one central place—this means you and your team can access work requests no matter where you are. No more sticky notes, misplaced paperwork, or unnecessary phone calls. Additionally, since you can action work requests right away by turning the requests into a quote or job, you’ll spend less time worrying about customer communication and more time getting work done. No more phone tag, everything in one place, and professional reputation! We built it so you can offer your clients another easy way to get in touch with you that’s integrated with the rest of Jobber. Learn more about enabling work requests in our help center.